Oaxaca, I must say is a must visit city in Mexico. The exotic Mexican culture is spread out from Santa Domingo church to the zocalo down town, culture ranging from music to art, from food to festivals, from street markets to public parks all compacted in a city surrounded by high hills that you can hike and get a breath taking view from. My host family in Oaxaca were also fantastic, from the moment I saw my host father holding a sign with my name on in the bus station, I knew everything was going to be great! 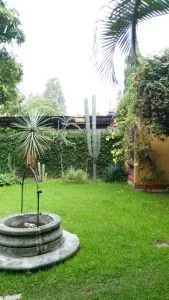 The Spanish school is sheltered in a beautiful garden, one the best things to do while here to take the salsa dance class, You dance in the porch while looking at the beautiful flowers and plants while feeling a gentle breeze blowing by. 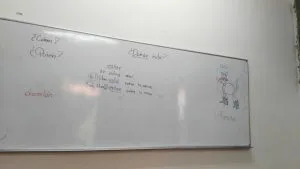 There were 4 of us in my class and I loved every second I spent in that room, my teacher was not only my teacher but now also a friend who I still keep in touch with. To an extent wished my time there should never end, nonetheless, I do know that my real voyage still lies ahead and I must keep on moving. 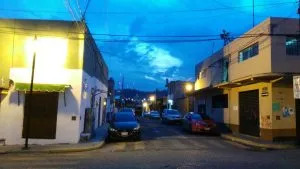 My next destination is Barra de Potosi, a small village of about 500 inhabitants on the Pacific Ocean, on the outskirts of Zihuatenejo, the town made famous by the movie Shawshank Redemption. Until next time adios for now.